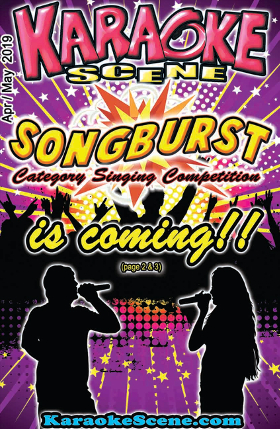 KARAOKE SCENE MAGAZINE ONLINE! - the most complete online Karaoke resource, an essential guide to Karaoke singing, entertainment, software, hardware, and special events - basically everything related to Karaoke. You have arrived at KaraokeScene.com, the online home of Karaoke Scene Magazine (KSM) - the largest Karaoke publication in the United States. Our website is extremely popular with enthusiasts all over the world and is always among the top ranked Karaoke sites in the major search engines. We offer many exclusive features for our visitors & members such as our Karaoke Showcase (where singers can post their recordings to be heard by people all over the world), the Karaoke Forums (stay in touch with the latest in what's happening), the Club Directory (the world's largest - just click to find a club or venue near you wherever you are), the KJ Directory (do you need a great KJ for your club or any special occasion? ), and much, much more! And remember, advertising in KSM is the only way to reach the enormous Karaoke market in the ever growing Karaoke world. We trust you will enjoy your stay and hope you will return soon. Is Pyle considered the brand for a good home system? seen anything new in 2018 during political ads?
. : Visit Our Sponsors :.